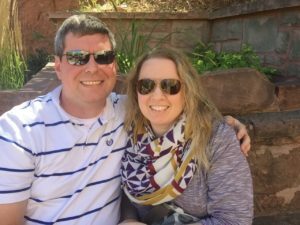 “Before we were married, we discussed the possibility of adoption and knew that this would be one of the avenues God would use to grow our family. Adoption is a calling that we both feel like the Lord has placed on our lives. The Bible speaks a lot about how we, as followers of Christ, are commanded to care for children, and we feel that adoption is one specific way that the Lord is leading us to care for children at this stage in our life. Grace Klein Community donated various yard sale items for the Miller Family yard sale to help raise funds for their adoption. The yard sale will take place on Saturday, March 25, 2017 from 7am – 3pm. Let’s show our love and support by stopping by!